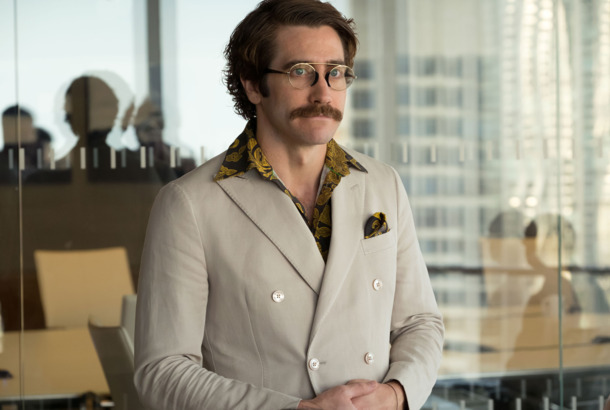 Jake Gyllenhaal Will Journey Across America in Lake Success Adaptation for HBOHe will also executive produce. Spider-Man: Far From Home Trailer: Peter Parker Does a Euro TripGuess he got un-snapped? The Velvet Buzzsaw Trailer Has Murderous Paintings and Crazy Jake GyllenhaalFrom the writer and director of Nightcrawler, so you know it’s weird. Never Invite Jake Gyllenhaal and Hugh Jackman to Your Holiday PartyRyan Reynolds, poor guy, learned the hard way. Never Invite Jake Gyllenhaal and Hugh Jackman to Your Holiday PartyThe actors pranked Ryan Reynolds at a holiday party (don’t worry Ryan, I like your sweater). Jake Gyllenhaal to Intensely Star in American Remake of The GuiltyJust picture a camera on Gyllenhaal’s face as he gets increasingly upset for an entire movie. Jake Gyllenhaal, a Big Baldwin Fan, Helped Beale Street HappenGyllenhaal inadvertently helped the estate approve Jenkins’s adaptation. The Halloween Sequel Is Brought to You in Part by … Jake GyllenhaalThe actor hooked up director David Gordon Green with his gig rebooting the franchise. Jake Gyllenhaal Reportedly in Talks to Join Next Spider-Man Movie As VillainBut who is this “Mysterio”? Bradley Cooper Joins the Battle of the Leonard Bernstein BiopicsCooper versus Gyllenhaal, pick your composer. Jake Gyllenhaal Cast As Leonard Bernstein In Biopic From Cary Joji FukunagaLike a symphony, the movie will be structured in five movements. Here’s How Jake Gyllenhaal Ended Up Reciting Poetry to a ChildThe real story behind his Calvin Klein Eternity film. Stronger Is Anything But Your Standard Overcoming-the-Odds TearjerkerThough Gyllenhaal deserves any accolades the film brings him, Maslany’s performance was the one that floored me. Jake Gyllenhaal Is Desperate for a BabyHe says he’s ready to be a dad. 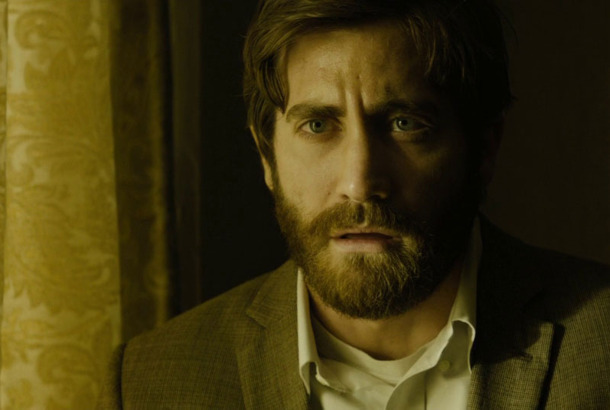 Jake Gyllenhaal Hears the Truth About His Nocturnal Animals CharacterPoor guy. Stronger Trailer: Jake Gyllenhaal, Tatiana Maslany Star in Boston-Bombing DramaOf course Tatiana Maslany’s Boston accent is great. 5 Weird Tony Award Voting Rules That Affected This Year’s NominationsWhy Jake and Glenn are out. New Okja Trailer: Tilda Swinton Swindles a Girl and Her Pet BeastOkja will be available on Netflix June 28. Revisiting the Ending of Denis Villaneuve’s Enemy, Spiders and AllA film that handles ambiguity and symbolism so deftly is a rare and special thing. See Photos of Jake Gyllenhaal and Tilda Swinton in Bong Joon-ho’s OkjaThe director’s Snowpiercer follow-up tells the story of a young Korean girl and her friend, a giant animal called Okja. 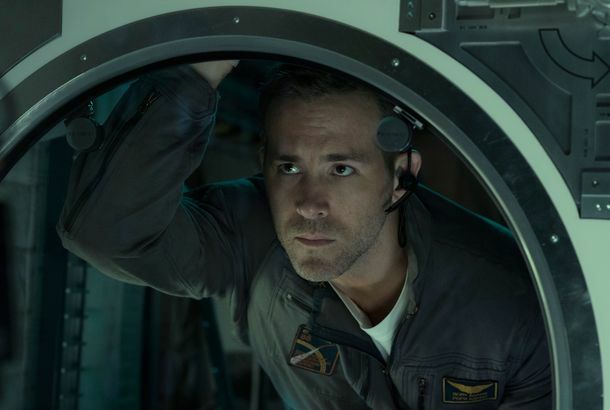 Even Ryan Reynolds and Jake Gyllenhaal Can’t Make an Original Film a Hit NowBad news for fans of original films. 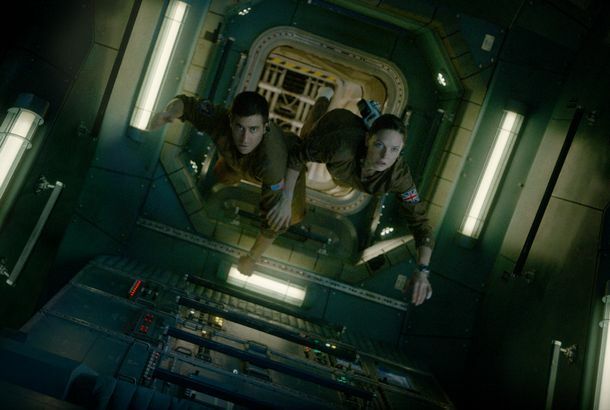 Movie Review: Life Is a Passable Alien ImitationIt’s Alien for short attention spans, or Arrival for non-pacifists. Jake Gyllenhaal Is Trying Really Hard to Prove He and Ryan Reynolds Are FriendsSomeone option this love story. Mandy Patinkin Cried Seeing Jake Gyllenhaal in Sunday in the Park With GeorgeA paintbrush is passed from master to apprentice. Theater Review: Jake Gyllenhaal in Sunday in the Park With GeorgeThe result is Sondheim’s most personal statement and thus, with all its odd corners and occasional wanderings, his most moving. Cary Fukunaga Made a Video of Jake Gyllenhaal Singing ‘Finishing the Hat’Get excited for Sunday in the Park With George. Jake Gyllenhaal Loves Ryan Reynolds in DeadpoolAcademy, are you listening? Jake Gyllenhaal Is Bringing Sunday in the Park With George to BroadwayGyllenhaal and Annaleigh Ashford will head to the Hudson Theatre in February. Nocturnal Animals Has Two Endings, and Both of Them Are KillerTom Ford hits you with the left (Jake Gyllenhaal), and then he hits you with the right (Amy Adams). Jake Gyllenhaal Gets Mistaken for Aaron RodgersHey, at least they knew it was someone famous. Jake Gyllenhaal’s Return to Broadway in Burn This Is PostponedBad news for the thespians. Watch Amy Adams in the Nocturnal Animals TrailerWith Michael Shannon and Aaron Taylor-Johnson. Jake Gyllenhaal and Carey Mulligan to Star in Paul Dano’s First FilmWildlife is based on the Richard Ford novel about the dissolution of a marriage.